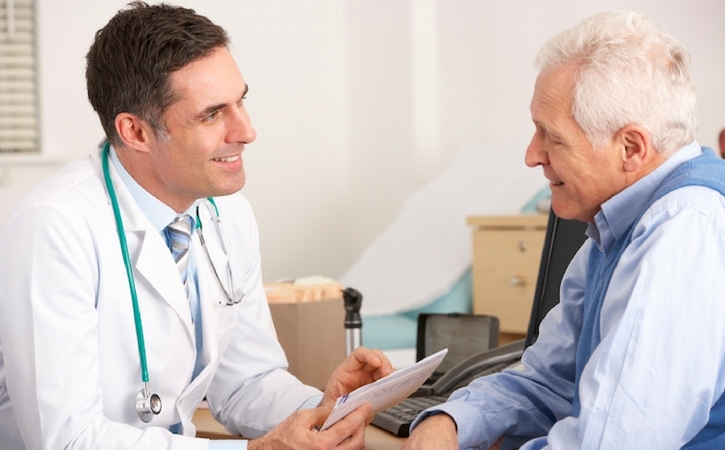 Tips to help you communicate with your doctor. Having a heart to heart with your doctor may be stressful. You may feel nervous, anxious or even rushed but building a good relationship and communicating openly is key to receiving the care you need, want and deserve. However, talking with your doctor isn’t always easy. Here are a few tips to help you make the most of your visit with your doctor. Document your health history. Start with the basics – include the names and addresses of your health care team. Also include when you had a physical exam, x-ray, teeth cleaning, surgery or eye exam. If you have a chronic illness, keep track of how you are feeling every day. Make a list of questions and concerns. Between visits write down your questions and concerns about your health, potential treatment options or changes you’ve experienced since your last visit. Before going to your appointment, choose your top three questions to ask your doctor. Keep a current list of medications and medication allergies. Write down all the medications you’re taking and known medication allergies. Include everything – prescription drugs, over-counter-medications, vitamins, laxatives, eye drops, vitamins, medical equipment / assistive devices, herbal remedies and supplements. Also include how often you take it and how much you take. If you have a team of health care providers, be sure to share changes in dosage or medications with each doctor. Bring a friend to your appointment. Don’t go it alone! Even if you are prepared – you have your health journal, your list of questions and concerns and your most current medication list, it might be helpful to bring a second set of eyes and ears to the appointment. Ask a close friend or family member to tag along. There’s nothing like a little support when you are navigating the healthcare system. Be assertive and ask questions. You are your own best advocate. While at your appointment, don’t be shy and don’t be afraid to speak up. Ask questions and if you don’t get an answer, ask again. Your questions can provide essential information and can help your doctor see what is important to you. Take a notebook or better yet, your health care journal and a pen to the appointment with your doctor. Jot down special instructions, answers to your questions and general information during your appointment. If you bring a friend or loved one to your appointment, ask them to take notes. Either way, it’s a great way to catch the details accurately and review them after the appointment. Follow up after your appointment. Your relationship with your doctor shouldn’t end when you leave the appointment. Ask your doctor the best way to follow-up and then do it! Follow-up regarding special instructions, new medications, test results or future appointments. Keep the lines of communication open. The bottom line – help your doctor help you. Take an active role in getting the care you deserve. Be a better patient by preparing for appointments and sharing vital information with your doctor. The partnership you have with your doctor is one of the most important you’ll ever have.